In 2015, The Hamery was named Mainstreet Downtown's Business of the Year for "preserving the taste of tradition downtown for nearly half a century." The Hamery's tradition of "showing what you sell" continues as Bob's hams have been awarded a blue ribbon 18 out of the last 21 years, and taken Grand Champion places at the Tennessee State Fair. 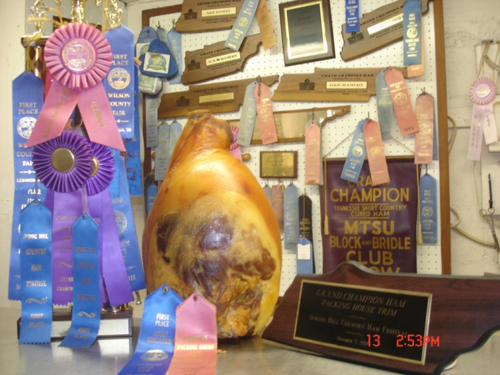 Also, in the last five years, Bob's hams received three Grand Champion awards at the Spring Hill Country Ham Festival. Bob says "the awards are special but our greatest accomplishment is our long time customers. In fact, four generations from the same families have enjoyed our aged country hams through the years."